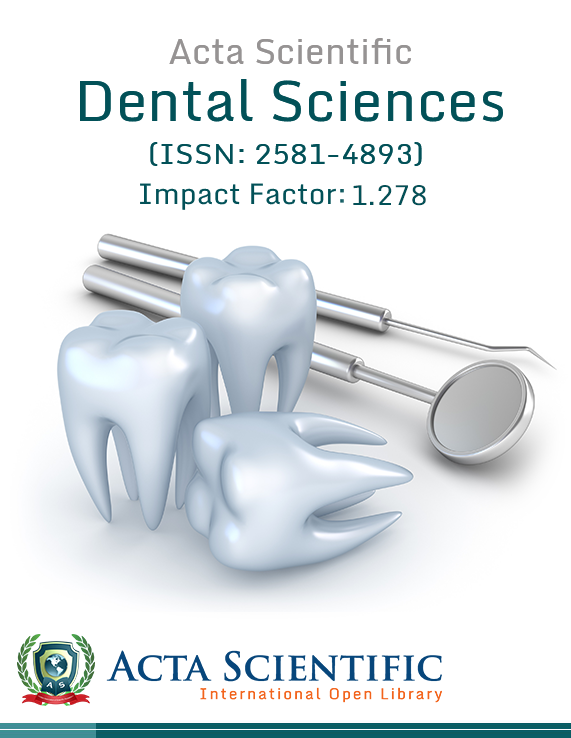 Acta Scientific Dental Sciences (ASDS) is an Internationally peer-reviewed journal that focuses to publish reliable articles in all the fields of dentistry. The journal aims to spread knowledge and information on all the sciences related to dentistry like oral cavity, dental implants, dental care, dental biofilms, oral health, root canal, gingivitis, etc..
Acta Scientific Microbiology (ASMI) is a peer-reviewed scientific journal that desires to cover all the topics relevant to microbiology, bacteria, Virus and microbiological methods and their applications. 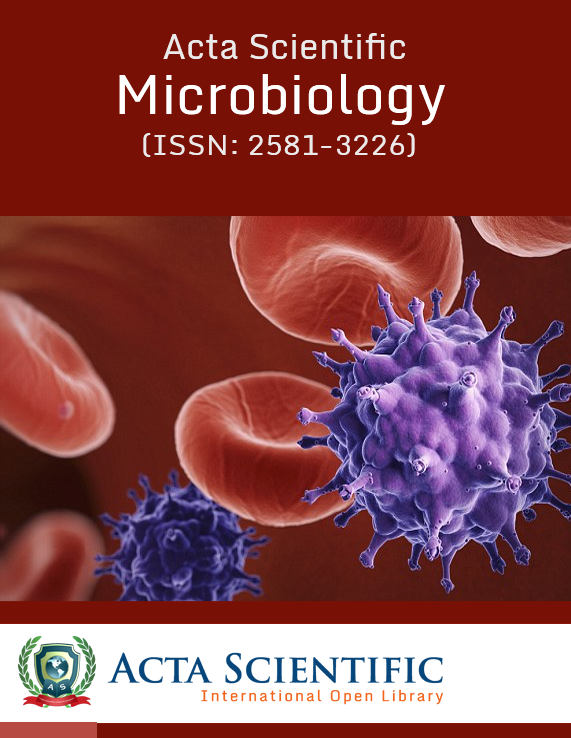 The journal aims to focus on the advancements and developments in the field of Microbiology and microbiological methods. Acta Scientific Agriculture (ASAG) aims to publish quality articles with a major emphasis on the all the aspects of agriculture. 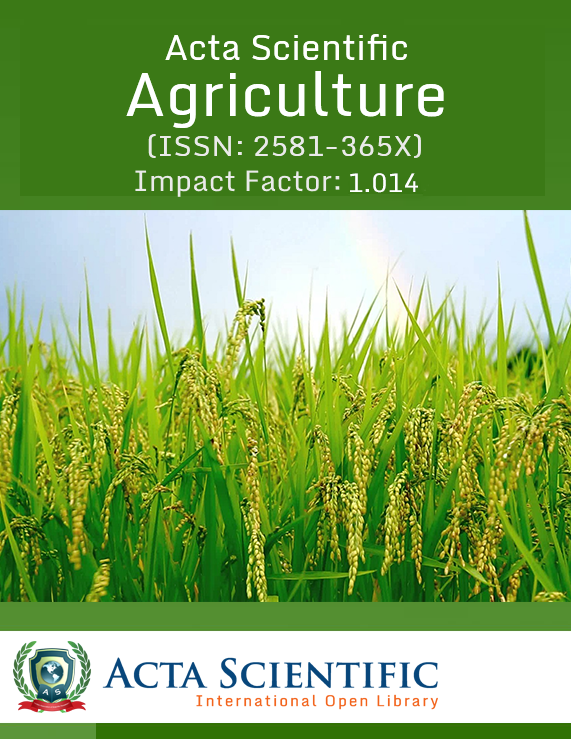 Agriculture that is alternatively termed as farming or husbandry is an important key for the development of sedentary human civilisation.The journal covers a wide range of agricultural related topics. 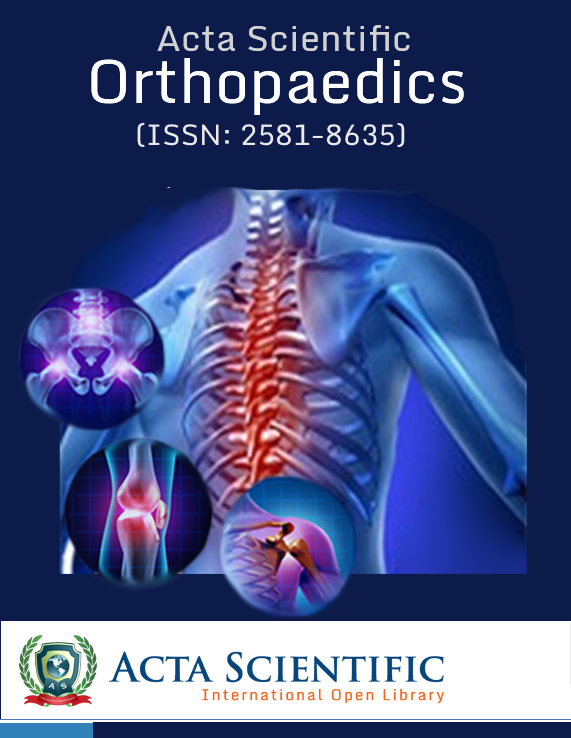 Acta Scientific Orthopaedics (ASOR) is an internationally peer-reviewed journal focuses to publish informative articles in all the fields of orthopaedics and bone research. The journal targets on all the issues related to clinical and experimental research with regard to musculoskeletal disorders. 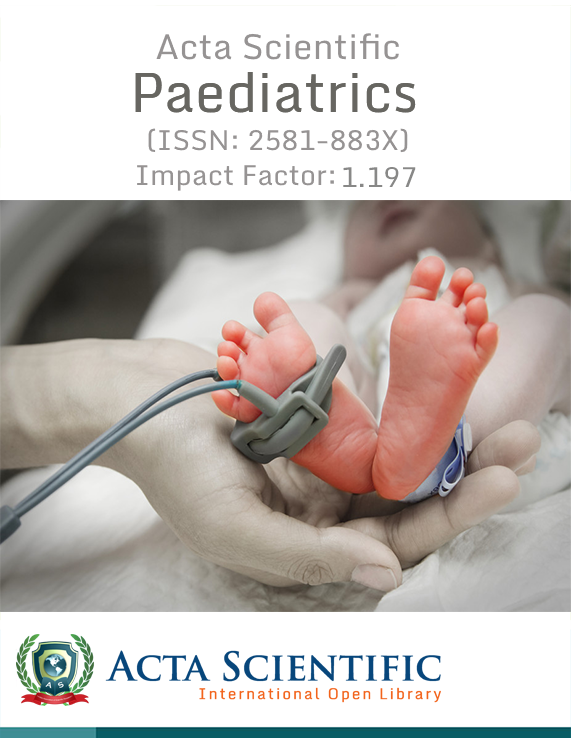 Acta Scientific Paediatrics (ASPE) is a multidisciplinary, internationally peer-reviewed journal that significantly focuses on advanced paediatric research including novel insights regarding paediatric medicine. The vision of the journal is to improve the aspects of child health. The journal accepts all the articles related to Paediatrics. 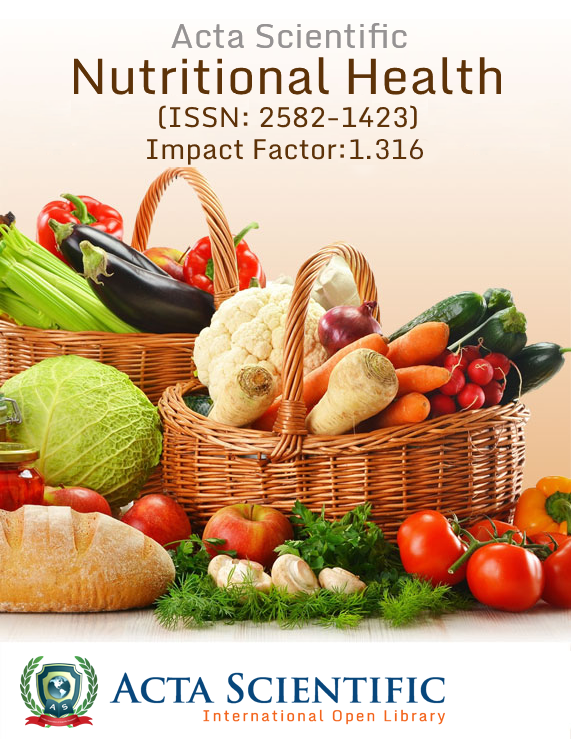 Acta Scientific Nutritional Health (ASNH) is a peer-reviewed scientific journal that desires to cover all the topics relevant to food, nutrition and diet and also palatability of foods and their applications. The journal aims to focus on the advancements and developments in the field of nutrition, dietics and food sciences. Acta Scientific Cancer Biology (ASCB) aims to promote current advancements in Cancer Biology and Oncology worldwide. The journal aims to publish original work in all the areas of Cancer, Clinical Oncology and Radiotherapy. 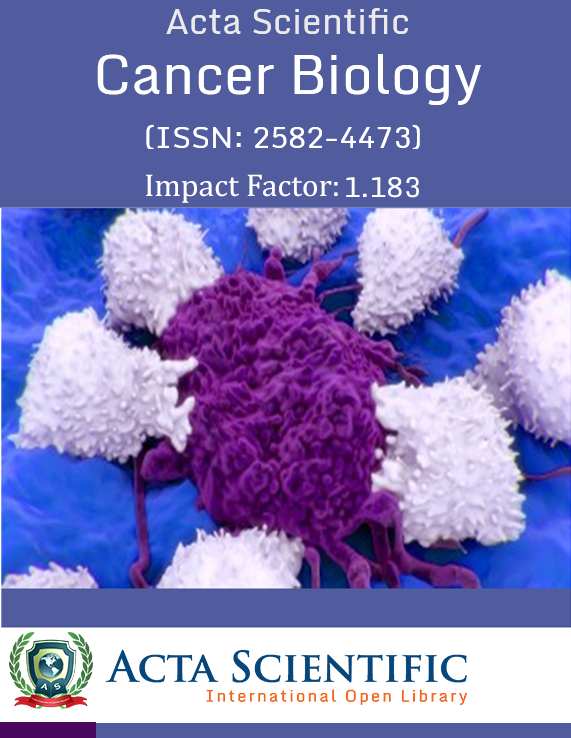 The journal provides a platform for advances in research related to Cancer Biology and Oncology medicine. Acta Scientific Medical Sciences (ASMS) aims to promote communication among clinical researchers worldwide. The journal publishes original work in all the areas of Medicine and Medical Sciences. 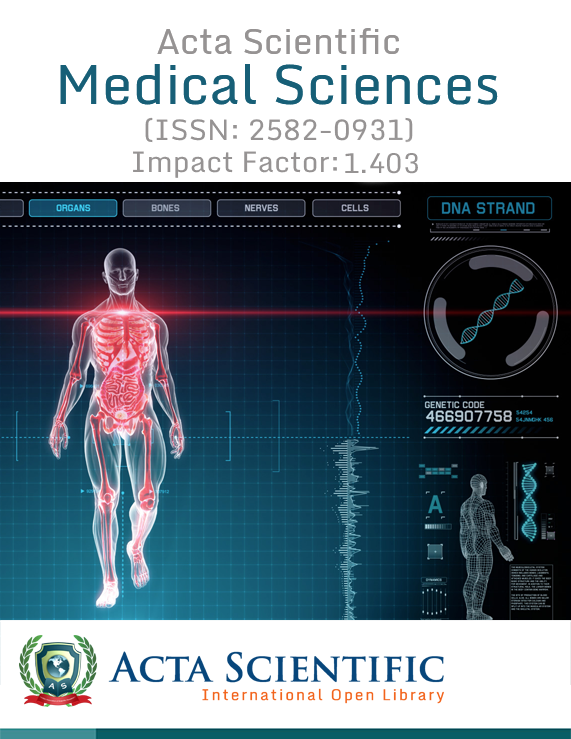 The journal provides a platform for advances in research related to sciences of medicine. Our aim is to encourage scientists. 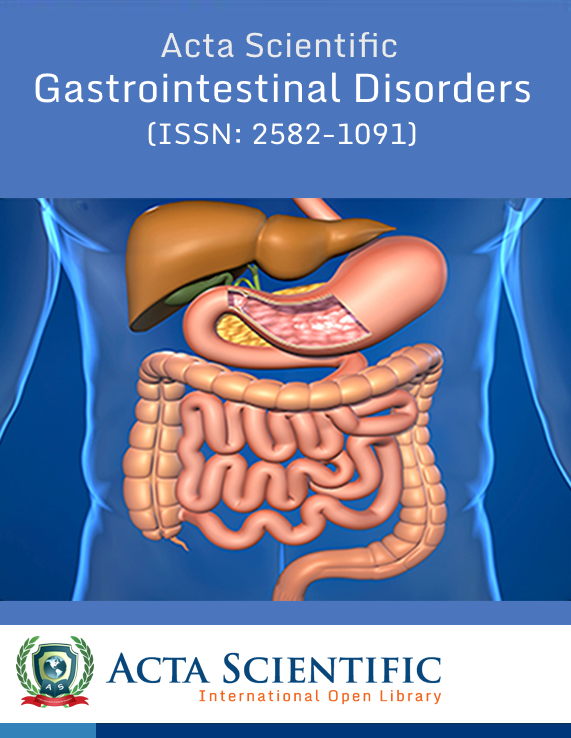 Acta Scientific Gastrointestinal Disorders (ASGIS) is a scientific, peer-reviewed journal that desires to publish quality research in the field of Gastroenterology and Hepatology. The journal aims to provide increased visibility on Gastroenterology and related aspects such as Gastroenterology, Digestive System, Hepatology. 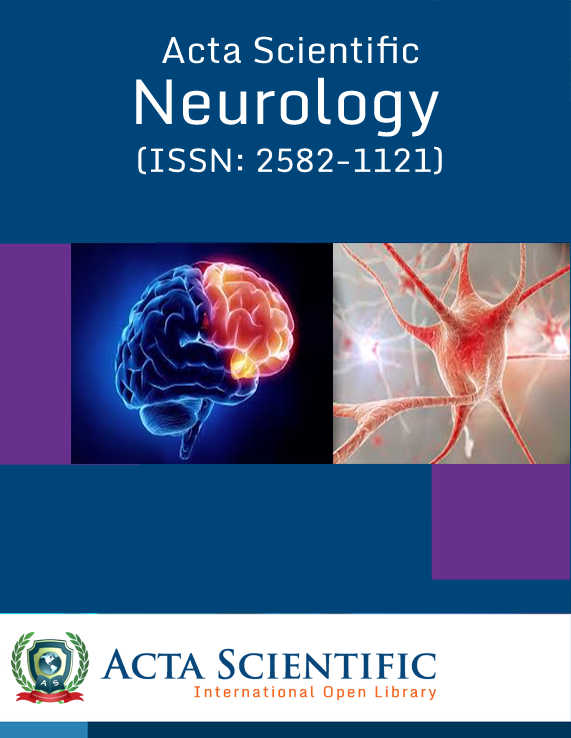 Acta Scientific Neurology (ASNE) is an internationally peer-reviewed journal that aspires to publish articles related to worldwide research in neuroscience. The mission of the journal is to bring all relevant and major findings in the field of neurology that includes advances in neurological medicine, various neurological disorders and their treatment. 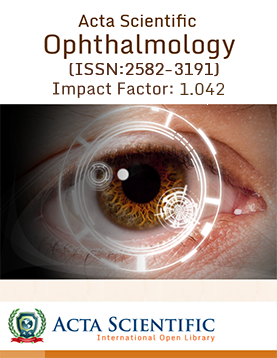 Acta Scientific Ophthalmology (ASOP) is a scientific, multidisciplinary and internationally peer-reviewed journal that aims to create a platform to publish various aspects of ophthalmology. The journal covers a wide variety of clinical trials and experimentation in diagnosing and sorting the issues with a challenge to provide the best eye care solutions. 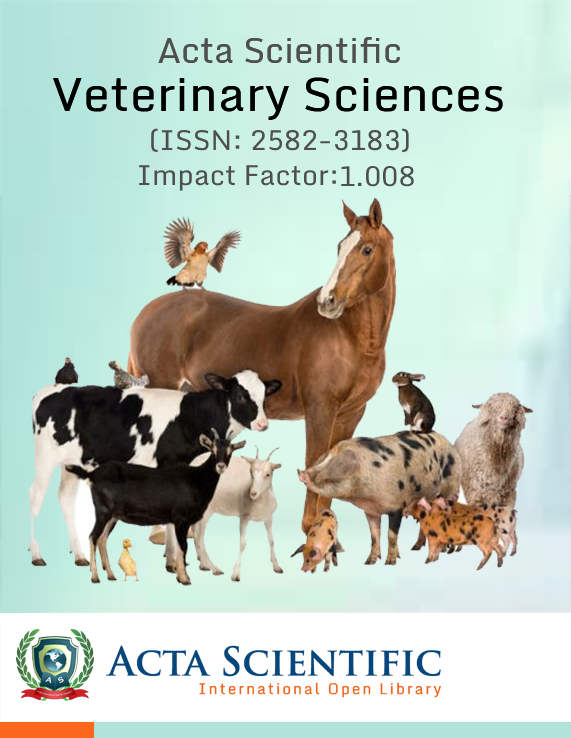 Acta Scientific Veterinary Sciences (ASVS) is a peer-reviewed, Open Access journal that publishes original research articles, review articles, case reports and expert opinions in all areas of veterinary sciences that covers a broad spectrum of topics that include all the scientific and technological aspects under veterinary sciences. 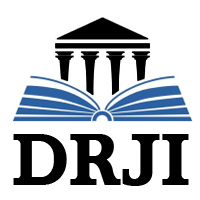 The journal desires to provide information in an expeditious way regarding advances in veterinary sciences. 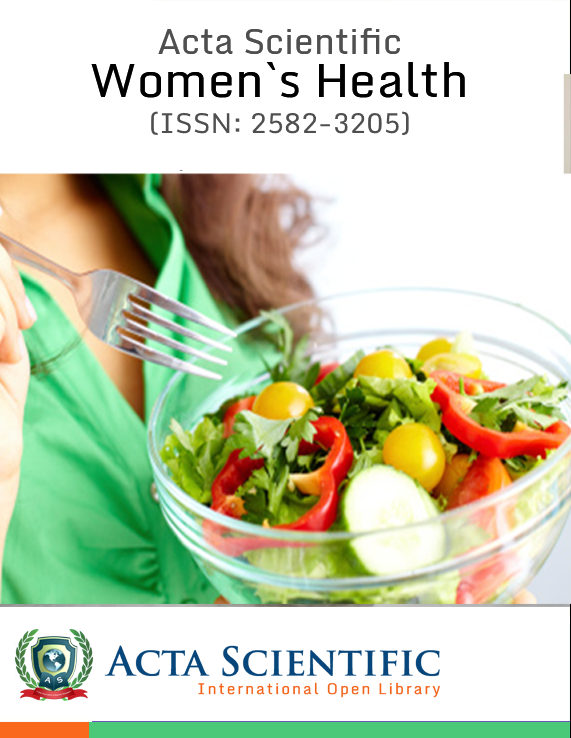 Acta Scientific Women's Health (ASWH) is an international open access, peer-reviewed, monthly journal that publishes research articles, review manuscripts and case reports related to Women’s health care medicine. The journal focuses on the current advancements and cutting-edge information on innovative research in Women’s Health. 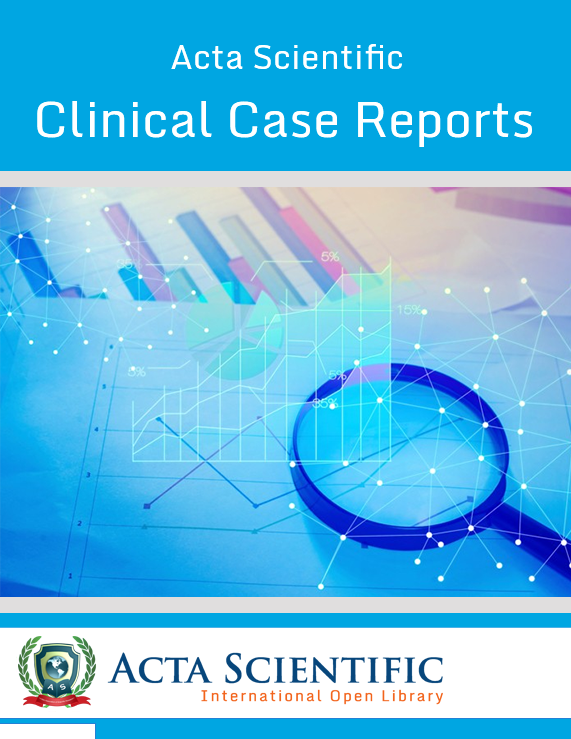 Acta Scientific Clinical Case Reports (ASCR) is an International open access, double-blind peer reviewed journal that publishes latest, cutting-edge research and clinical case reports, clinical images, and procedural videos from all the areas of clinical medicine to create a valuable collection of cases in all clinical disciplines. 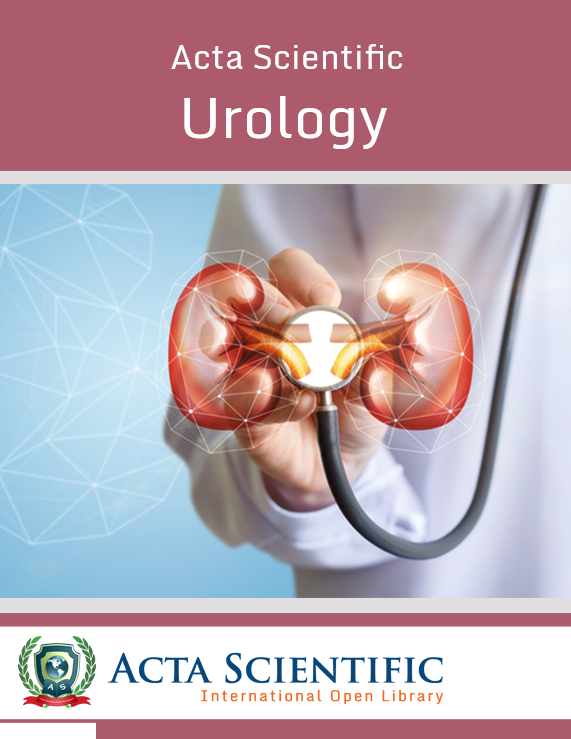 Acta Scientific Urology (ASUR) is most talked International open access journal and one of the dedicated to publish highly cited articles, we bring effective reportation of the clinically relevant data needed to present at the foreground of the vast field of urology which includes genitourinary surgery, male and female urinary-tract system and the male reproductive organs. 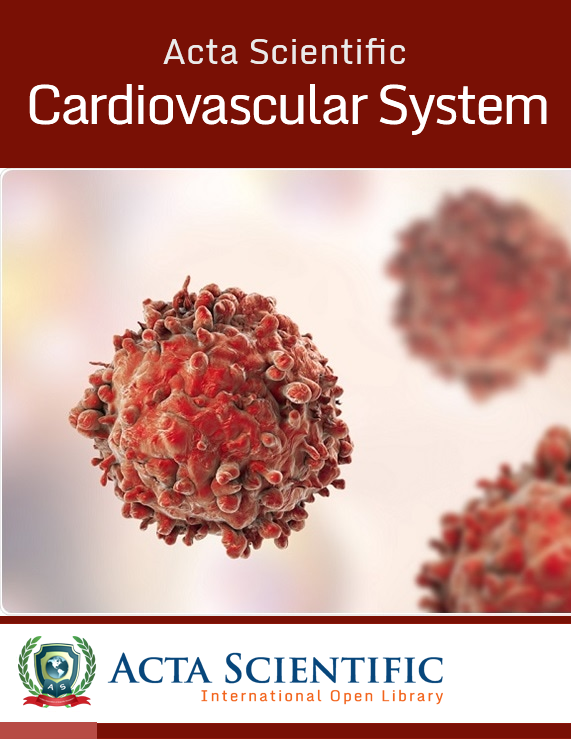 Acta Scientific Cardiovascular System (ASCVS) is an internationally renowned open access journal which is devoted in publishing articles with a double blinded peer review process. It is a highly viewed journal which focusses on all the topics related to cardiovascular study, our main aim is to build collaborations yielding top-notch research publications contributing directly to global development. 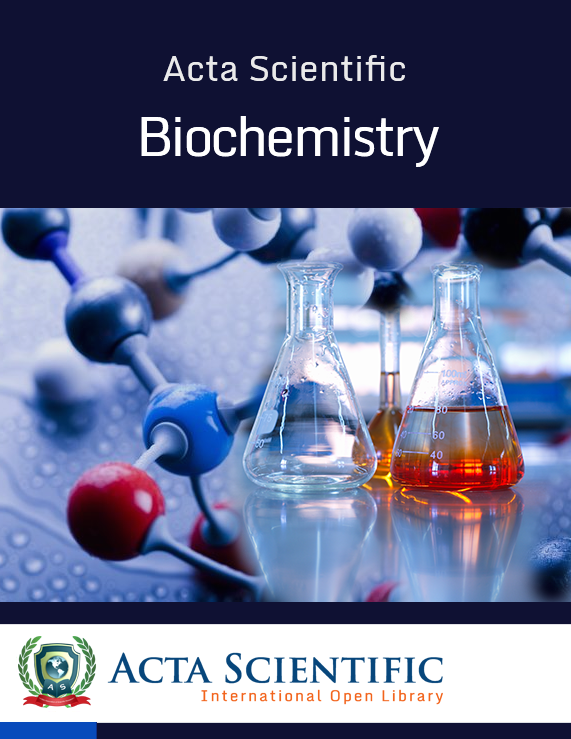 Acta Scientific Biochemistry (ASBC) is a branch of Science which deals with chemical reactions between the cells which are present in every living organism. The bio-chemical research will help us in a compendious way to regulate or prevent different types of diseases. 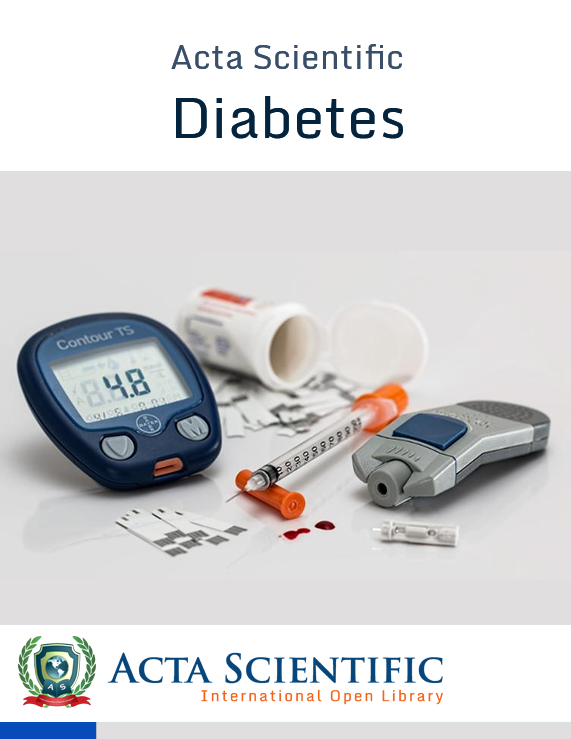 Acta Scientific Diabetes (ASDB) is common disease now-a-days with high effectiveness which sometimes leads to death of patients. We use the platform to share the awareness among the everyone equally about the disease along with the great knowledge on the topic. Acta Scientific Pulmonology (ASPU) is a medical speciality that deals with diseases involving the respiratory tract. The respiratory system is vital to the whole functioning of the body. 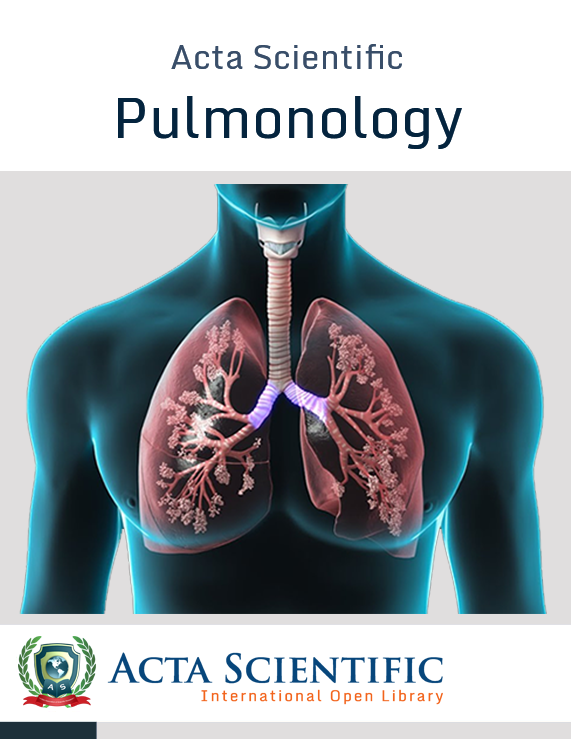 Pulmonology is known as chest medicine and respiratory medicine. It is considered as a branch of internal medicine and is related to intensive care medicine. Acta Scientific Anatomy (ASAT) is the branch of biology concerned with the study of the structure of organisms and their parts. It is a branch of natural science which deals with the structural organization of living things. 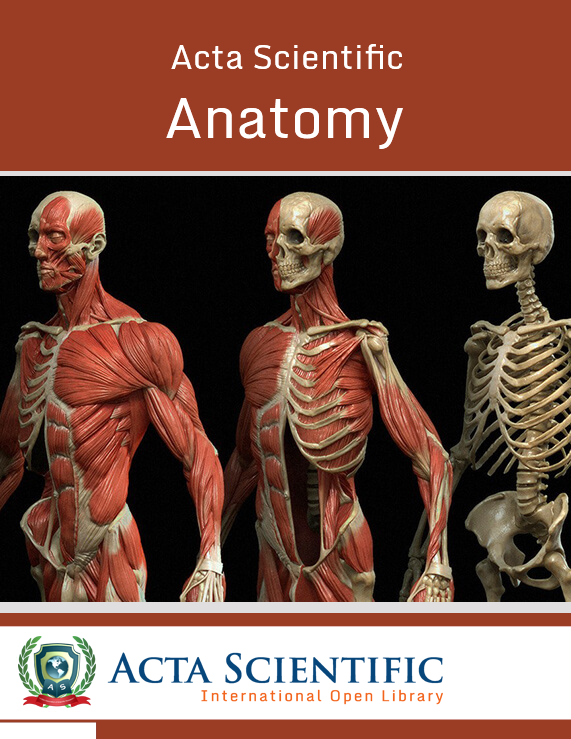 Anatomy is inherently tied to developmental biology, embryology, comparative anatomy, evolutionary biology, and phylogeny as these are the processes by which anatomy is generated over immediate (embryology) and long (evolution) timescales. 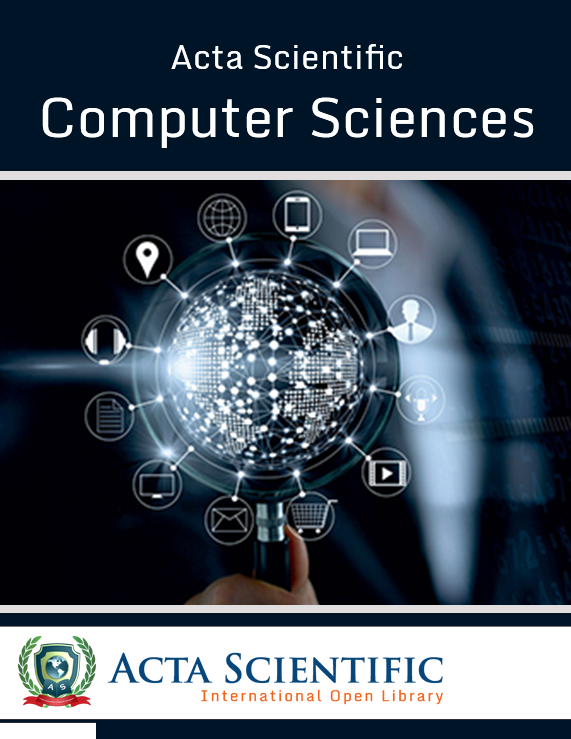 Acta Scientific Computer Sciences (ASCS) is the study of computer technology, both hardware and software. It is in-demand across practically in every industry in today's technology-dependent world. It is the processes that interact with data and can be represented in the form of programs. It enables the use of algorithms to manipulate, store, and communicate digital information. 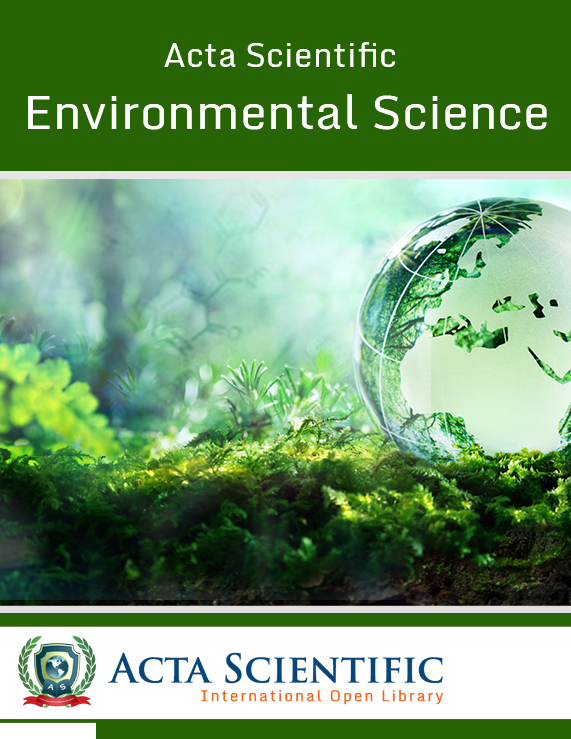 Acta Scientific Environmental Science (ASES) is an international, double- blinded peer-reviewed, highly viewed, open access journal with a good impact factor that publishes highly standard scientific information on all aspects of Environmental Sciences connected to geology, physics, chemistry, legislations. 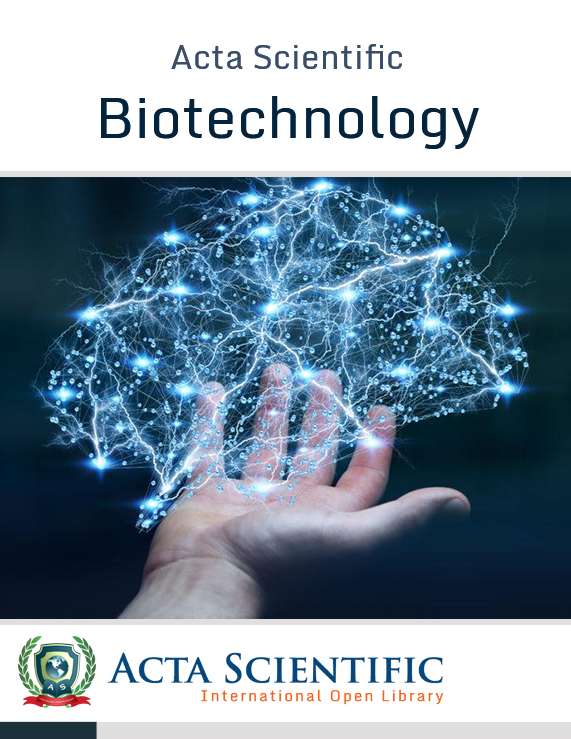 Acta Scientific Biotechnology (ASBT) is a broad and advanced branch of science where micro organisms or living cells are use for the large productions of utilizing products by performing genetical manipulation. They include Drugs, foods, beverages, enzymes, proteins, fats, personal care products, bio fuels, fabrics, bioplastics, biopesticides, bioinsecticides, bioherbicides. 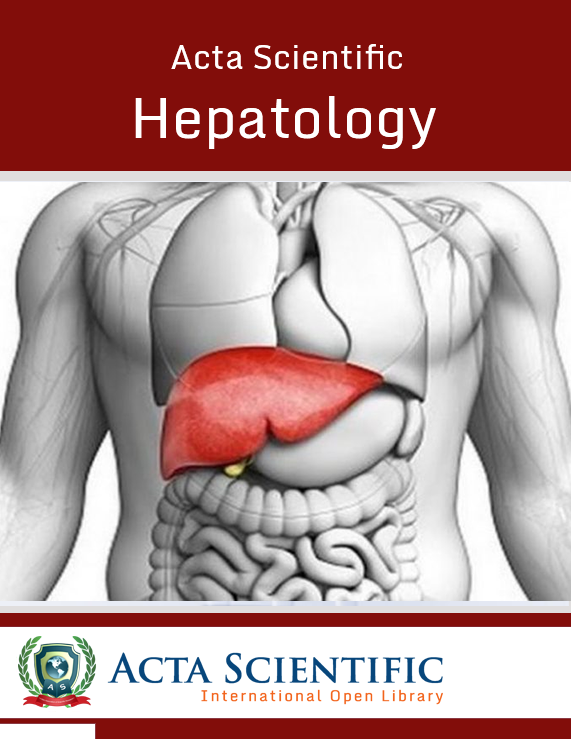 Acta Scientific Hepatology (ASHP) is an international esteemed open access journal stepping forward to be a best platform for all the Authors around the world to showcase their outstanding basic and clinical papers on all aspects of liver diseases, Liver Sciences, Gallbladder, Biliary tree, Pancreas etc including both human and animal studies. 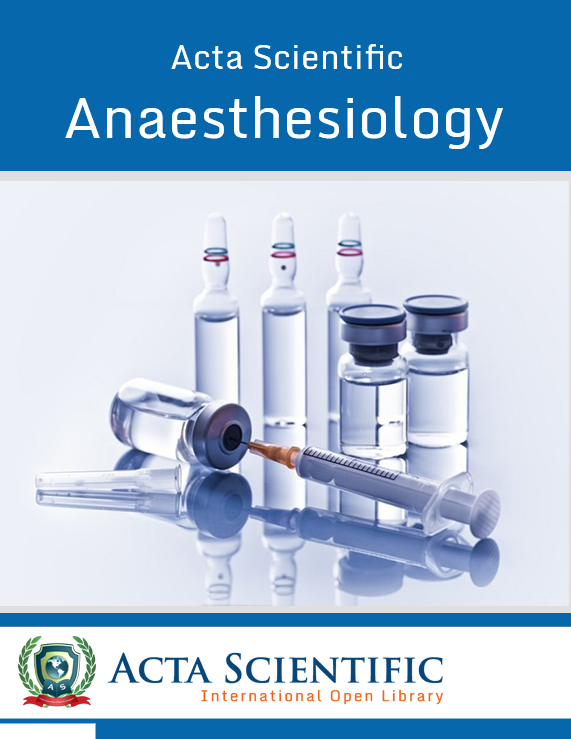 Acta Scientific Anaesthesiology (ASAN) is an internationally peer reviewed open access online journal which aspires to publish quality articles related to anaesthesia from the researchers worldwide. It performs a double blinded peer review process, it is a highly viewed journal which has become a platform to exchange the research content. 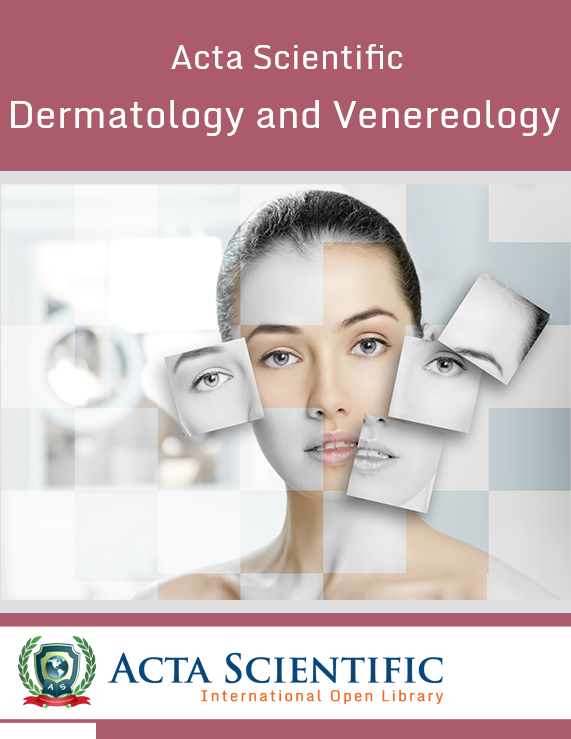 Acta Scientific Dermatology and Venereology (ASDR) is an esteemed International open access journal which aims to publish the quality articles in the topics of Dermatology and Venereology more specifically about skin, nails, hair (functions & structures) and its diseases and sexually transmitted diseases. 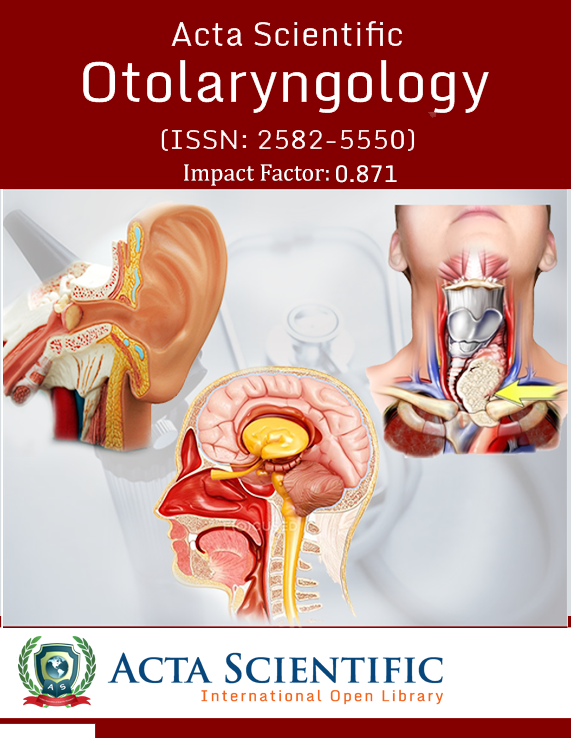 Acta Scientific Otolaryngology (ASOL) is an International open access, multidisciplinary, double-blinded peer reviewed journal which aims to publish clinical and medical investigations related to Otolaryngology. We dedicate to publish latest advancements and meticulous evident based scientific research related to the general science and clinical fields of the auditory & vestibular system and diseases of the ear. 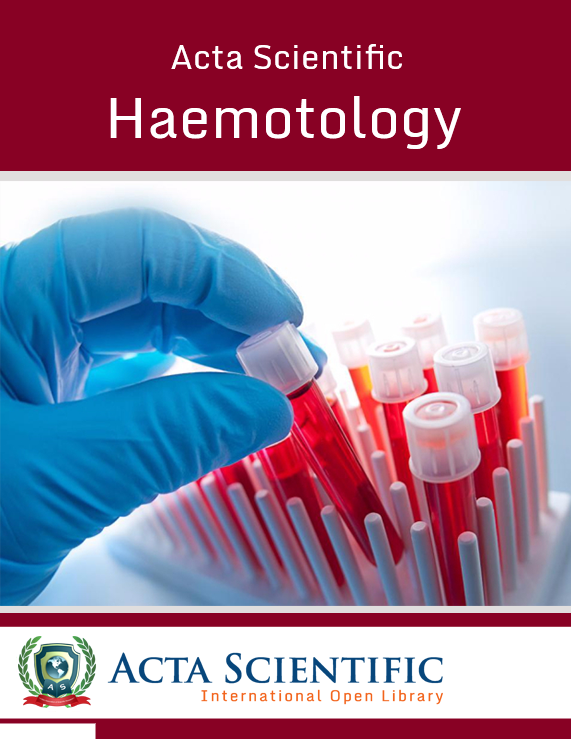 Acta Scientific Haematology (ASHY) is an internationally peer-reviewed journal focuses to publish informative articles in all the fields of orthopaedics and bone research. The journal targets on all the issues related to clinical and experimental research with regard to musculoskeletal disorders. 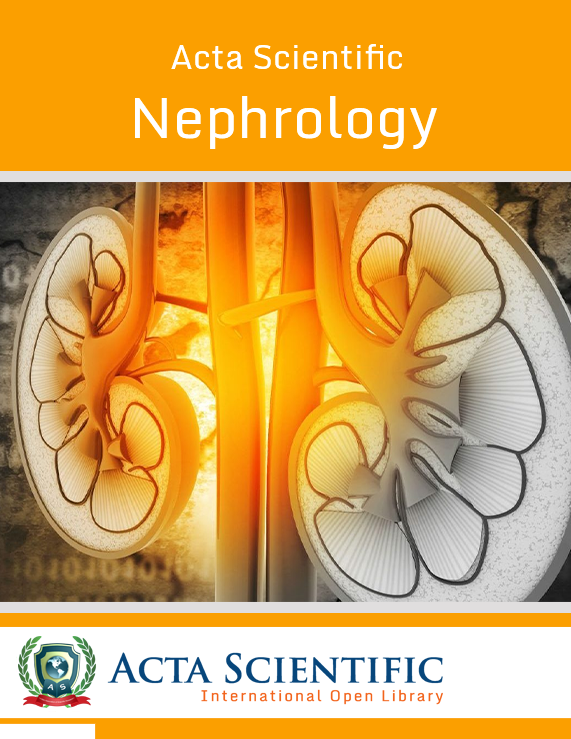 Acta Scientific Nephrology (ASNP) is an International, well known open access journals which indulges in publishing scientifically approved papers on the diversified themes of Nephrology, Kidney related studies and also in the disease management of Kidney concerned disorders. Acta Scientific Endocrinology (ASEC) is good impacted, International, double blinded peer reviewed journal, which can be accessed from anywhere from the globe. 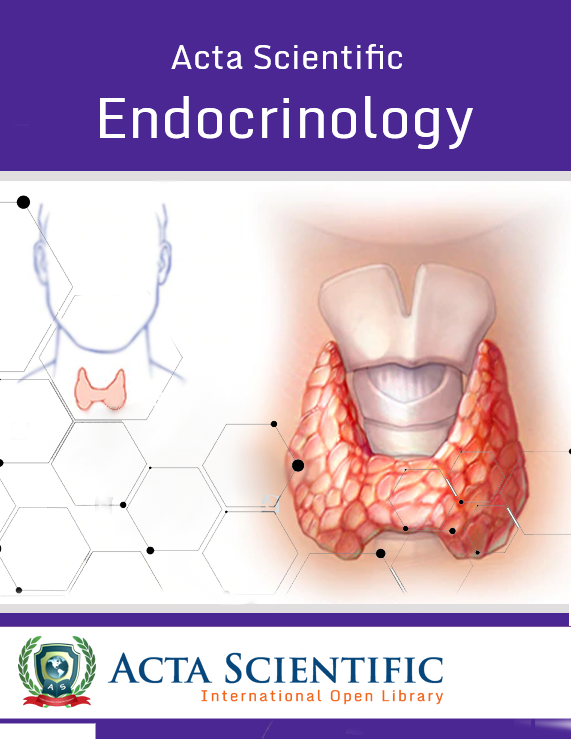 We aim to publish articles on Endocrine System and concerning diseases along with the hormones they secrete. We provide a good forum for all the scientists, endocrinologists to exhibit their research and study. 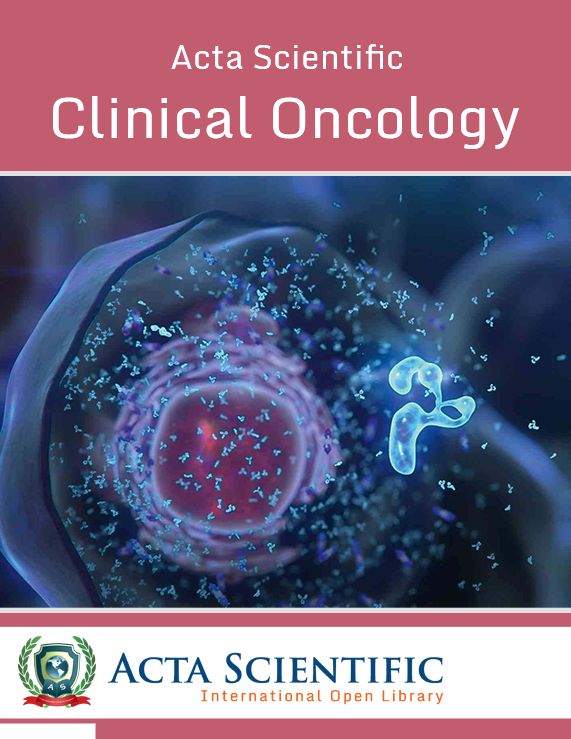 Acta Scientific Clinical Oncology (ASCO) is an international, double- blinded peer-reviewed, highly viewed open access journal with a good impact factor that invites contributions of original and novel fundamental research on all aspects of developments of types of malignancies including pathology, diagnosis and therapy, including radiotherapy, and systemic treatment. 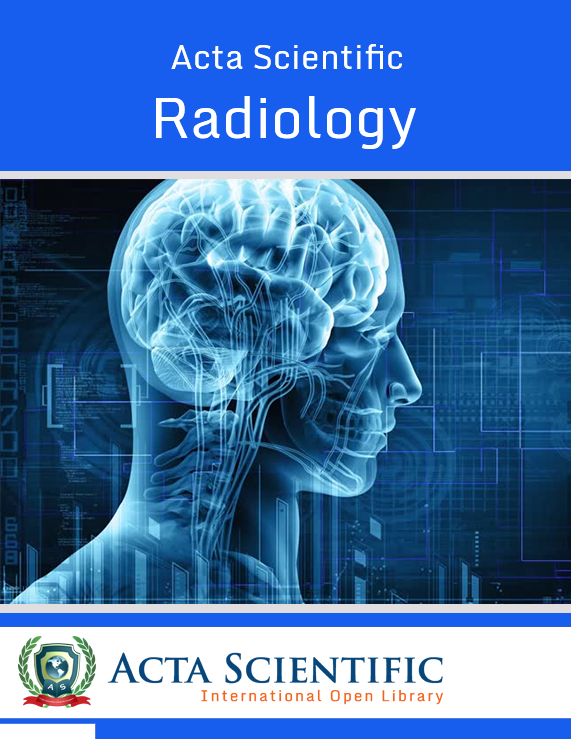 Acta Scientific Radiology (ASRD) is one of the significant journal in the family of Publisher Name works with a main motto to publish scientifically valued papers in the fields of Medical Imaging to diagnose a disease or to treat it. The viewers of this particular journal are of multidisciplinary. In this modern world of diseases, Radiology is such a branch whose importance is immense. 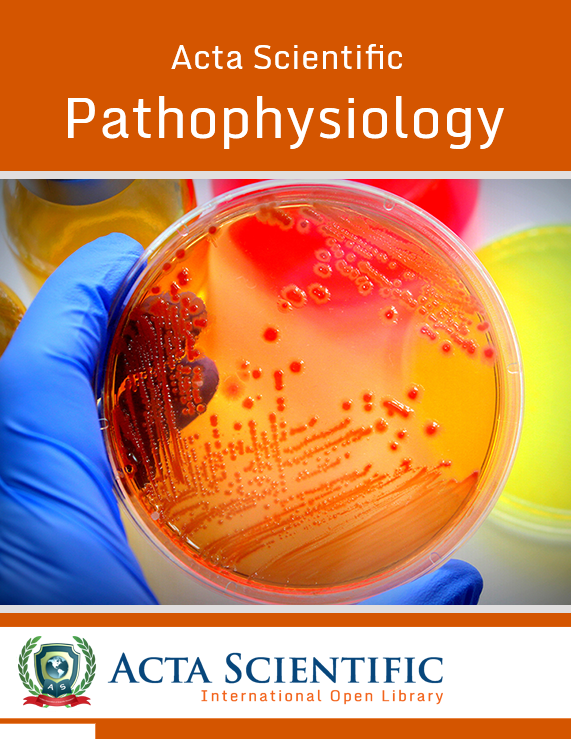 Acta Scientific Pathophysiology (ASPP) is an internationally significant open access journal which desires to publish all the concepts related to physiological processes. It helps in providing the opportunity for academics, professionals and practitioners to exhibit their research work. Pathophysiology is a highly viewed journal and performs a double blinded peer review process which helps in effective publication. 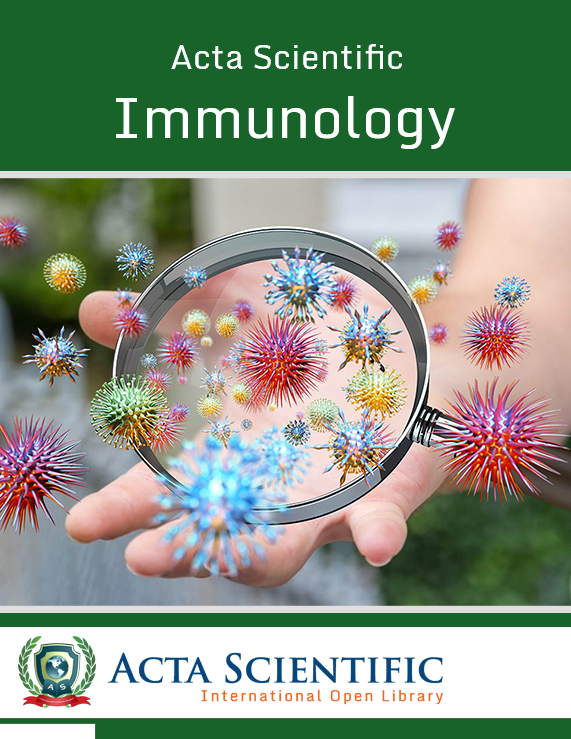 Acta Scientific Immunology (ASIM) is an internationally well-known journal which aims in publishing all the articles related to immunology. A double blinded peer reviewed journal which helps in providing an opportunity to the researchers around the world. 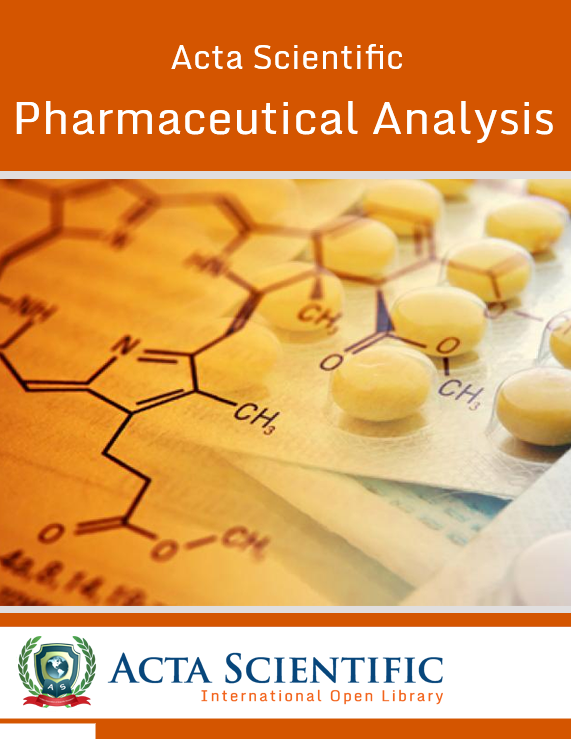 Acta Scientific Pharmaceutical Analysis (ASPA) is an international, double- blinded peer-reviewed, highly viewed open access journal with a good impact factor that publishes highly standard scientific information on all aspects of Pharmaceutical Analysis. 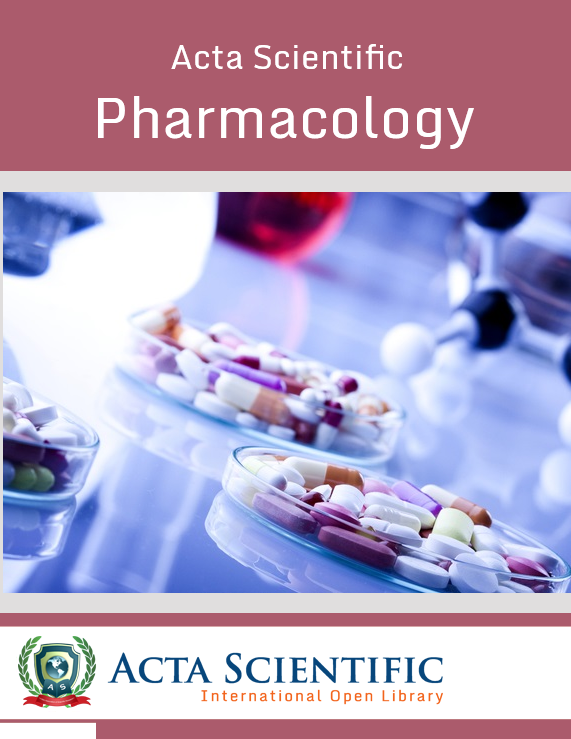 Acta Scientific Pharmacology (ASPC) is an international, double- blinded peer-reviewed, highly viewed, open access journal with a good impact factor that publishes highly standard scientific information on all aspects of basic research related to the field of pharmacology and Clinical Research. 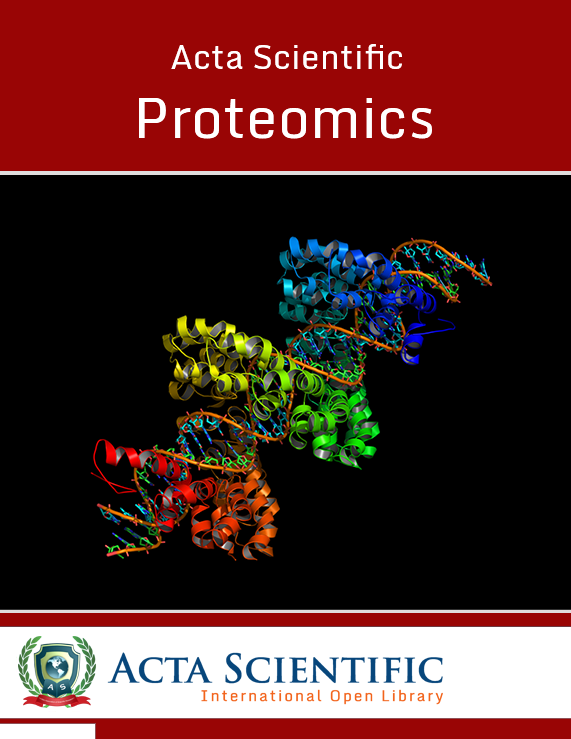 Acta Scientific Proteomics (ASPT) is an international, double- blinded peer-reviewed, highly viewed open access journal with a good impact factor that publishes highly standard scientific information on all aspects related to study of protein structure, their structure and physiological role or functions at the level of cell, tissue, organ, biological fluid, or organism. 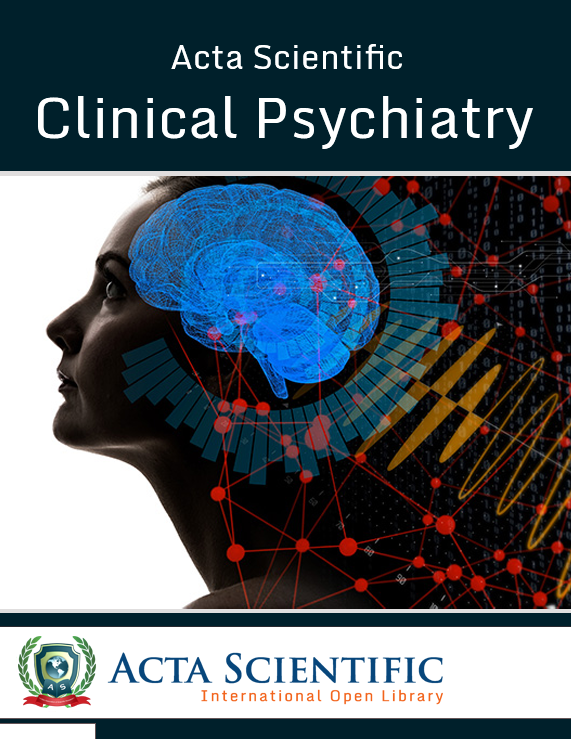 Acta Scientific Clinical Psychiatry (ASCP) is international standard peer review journal, whose publications can be accessed freely by anyone. The primary intention for us is to receive and publish the best quality publications in the field of Clinical Psychiatry that is diagnosis, prevention, and treatment of mental disorders which are scientifically satisfying, ethically approved and informative to the readers. 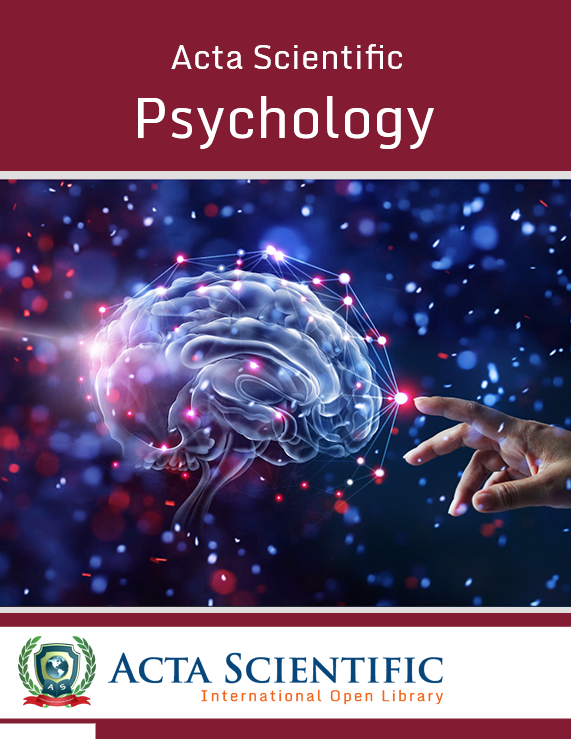 Acta Scientific Psychology (ASPY) is branch of science which includes the study of human mind and its behavior in the conscious and unconscious phenomena. It includes the abnormal behavior study, mental illness and psychic illustrations, trauma, stress disorders. These studies help us to know about the brain function and the release of different enzymes with the behavior. 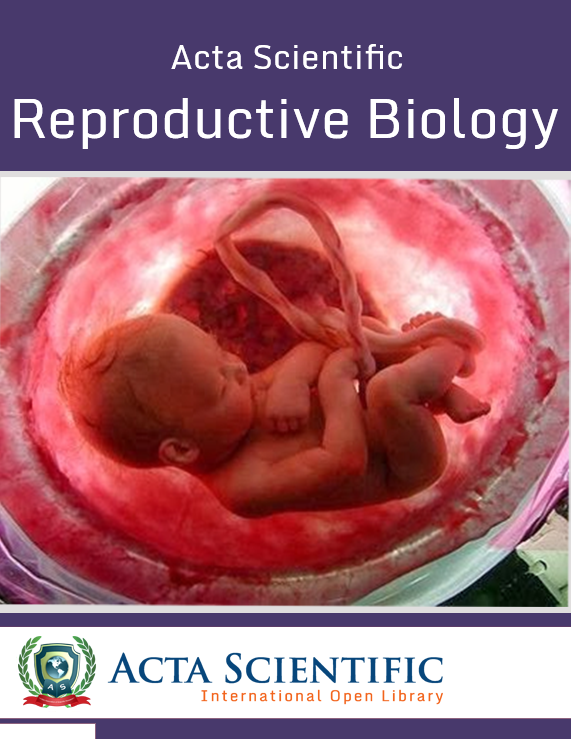 Acta Scientific Reproductive Biology (ASRB) is an open access peer reviewed international journal which serves in publishing various articles related to reproductive sciences. 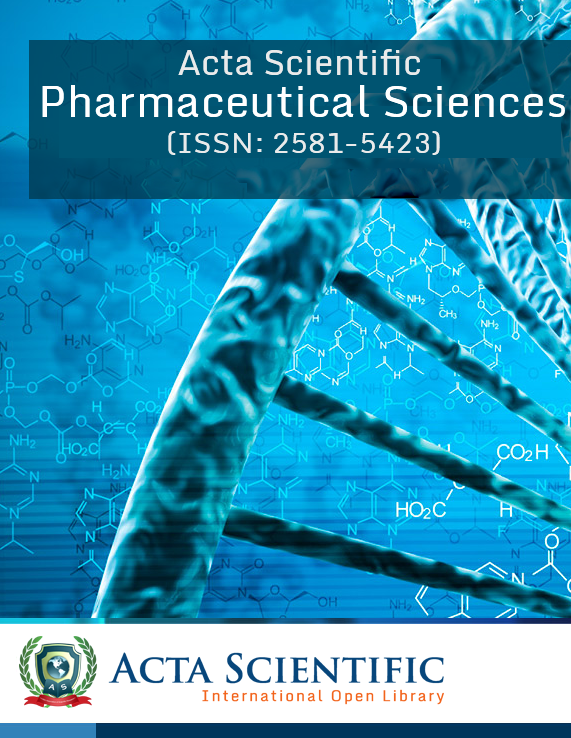 It is a globally wide spread journal which enhances the quality of research work from the researchers worldwide. It has become a forum to exchange the knowledge through the research community. 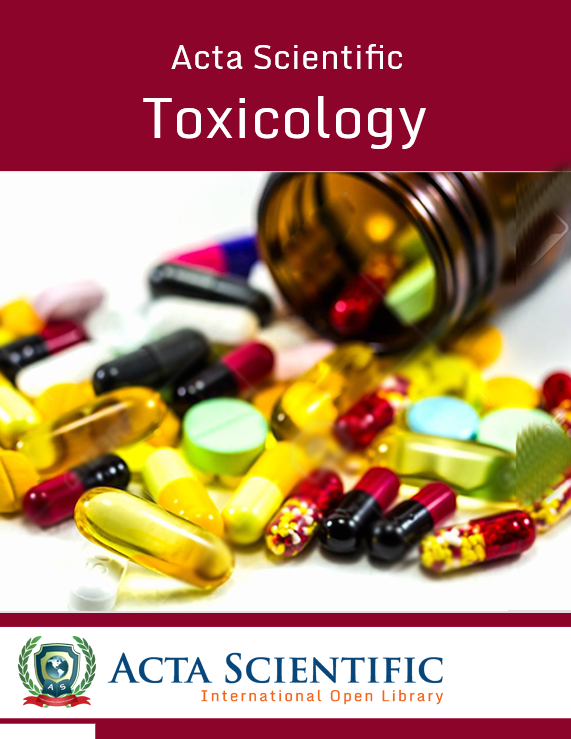 Acta Scientific Toxicology (ASTX)is an international, double- blinded peer-reviewed, highly viewed open access journal with a good impact factor that publishes highly standard scientific information on all aspects of Toxicological sciences, mechanisms of toxicity associated with exposures to foreign chemicals. 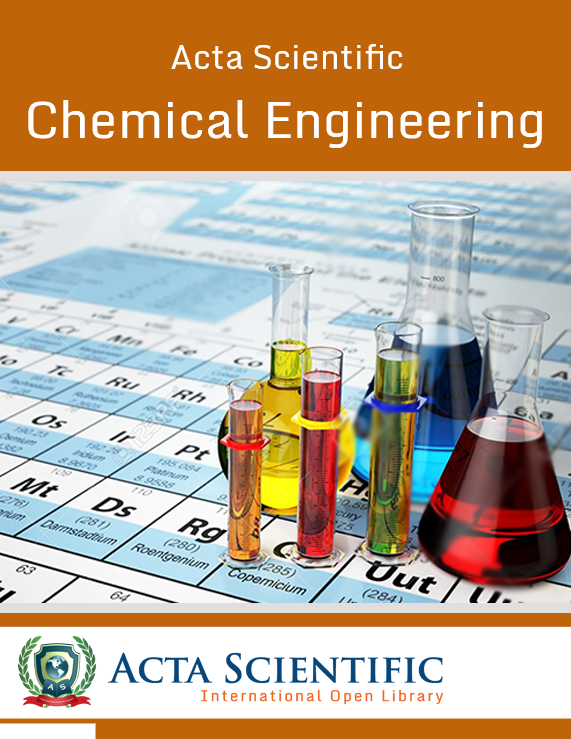 Acta Scientific Chemical Engineering (ASCE) is an international, double- blinded peer-reviewed, highly viewed open access journal with a good impact factor that publishes highly standard scientific information on all aspects of chemical engineering and applied chemistry and discussion of new developments in chemical engineering. Acta Scientific Applied Chemistry (ASAC) is a principle Brach of chemistry where it is used to solve or used to help in the preparation of chemicals or other materials which are used for our use. 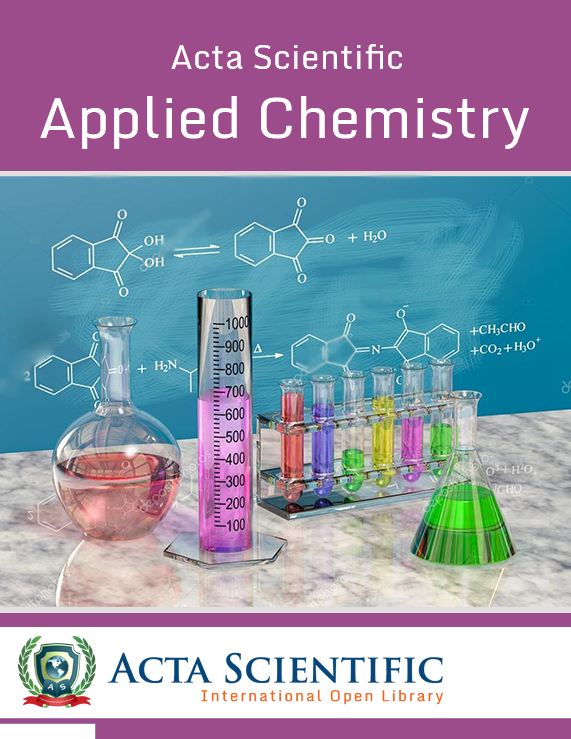 Applied chemistry is the advanced form of chemistry where the different molecules are used for the experimental work. It also includes a vast variety of field of molecules compare to the pure chemistry. 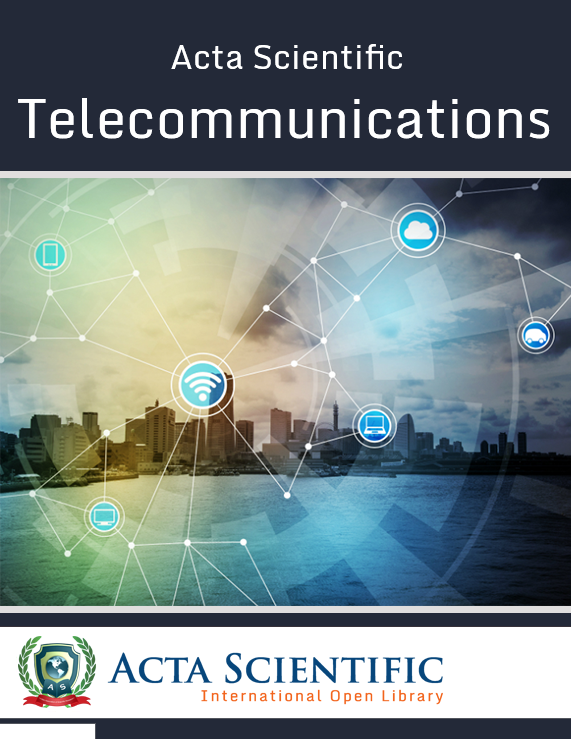 Acta Scientific Telecommunications (ASTC) refers to the exchange of information by electronic and electrical means over a significant distance. A complete telecommunication arrangement is made up of two or more stations equipped with transmitter and receiver devices. A single co-arrangement of transmitters and receivers, called a transceiver, may also be used in many telecommunication stations. 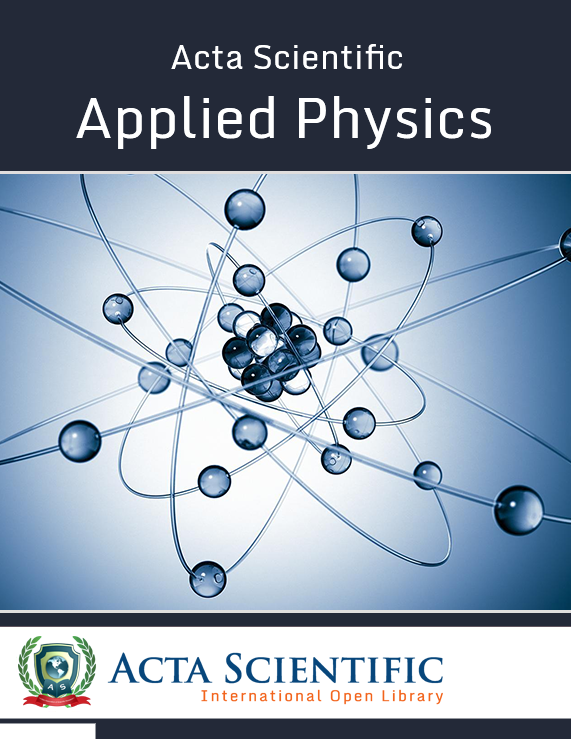 Acta Scientific Applied Physics (ASAP) is a Brach of physical sciences which helps in the different areas but most highly useful in the medical field. The combination of physical engineering helps to use the physics in the day to day life for the useful support. The applied physics is mostly used in the techniques of leaser techniques, magnetic reasoning. 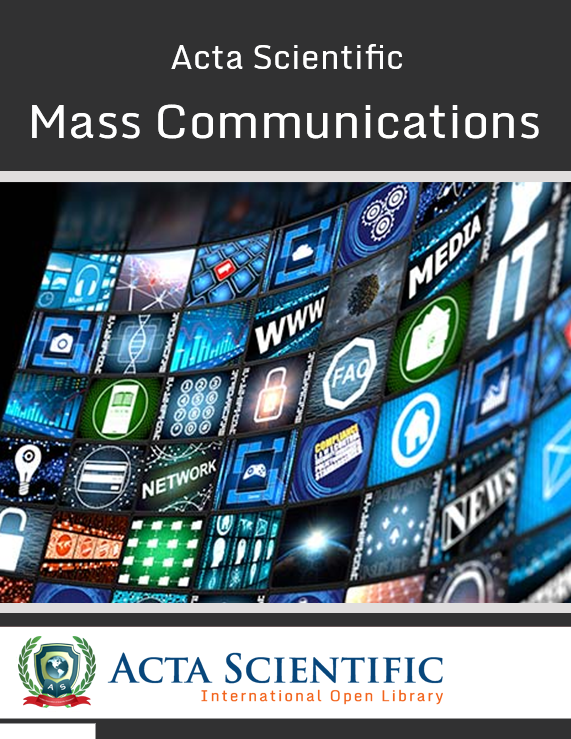 Acta Scientific Mass Communications (ASMC) is the process through which a message is circulated extensively among people nearby and throughout far extending areas such as entire countries or the globe. Through mass communication, information can be transmitted quickly to many people who generally stay far away from the sources of information. Journalists work in all sorts of media and industries. 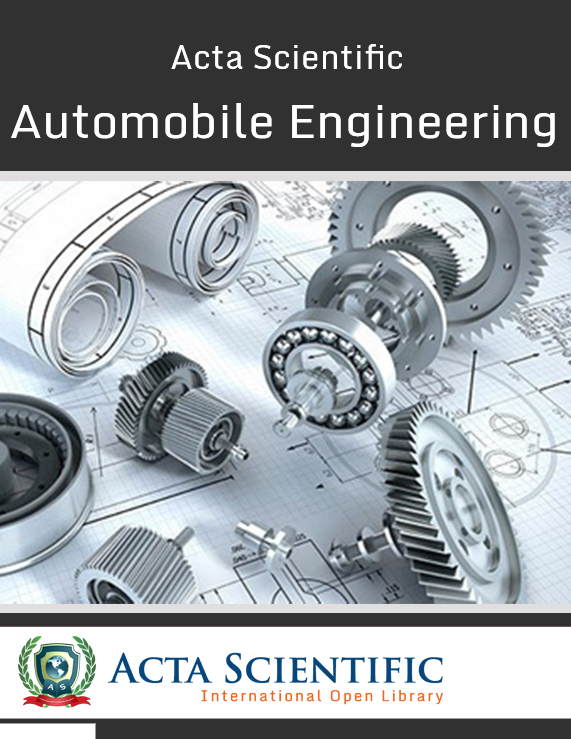 Acta Scientific Automobile Engineering (ASAE) is an internationally renowned open access journal which is devoted in publishing articles with a double blinded peer review process. It is a highly viewed journal which focusses on all the topics related to automobiles, our main aim is to build collaborations yielding top-notch research publications contributing directly to global development. Acta Scientific Artificial Intelligence (ASAI) is a way of making a computer, a computer-controlled robot, or a software think intelligently, in the similar manner the intelligent humans think. 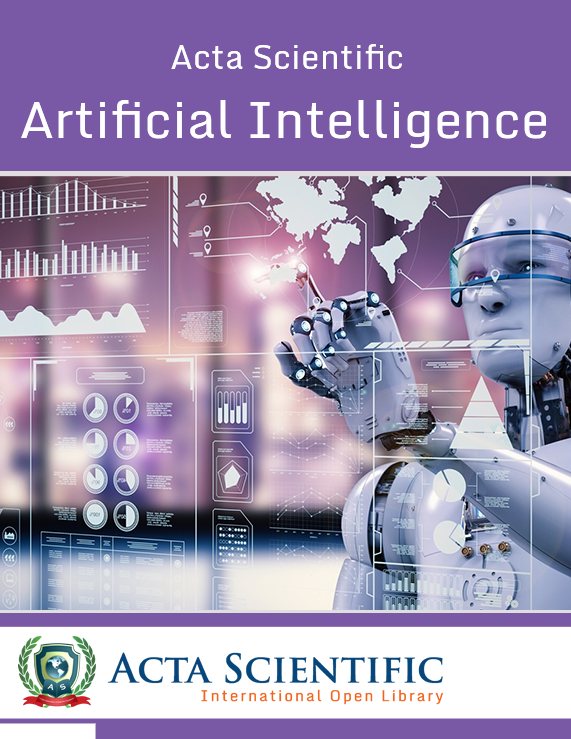 The term Artificial intelligence is used to describe machines that mimic cognitive functions that humans associate with other human minds, such as learning and problem solving. 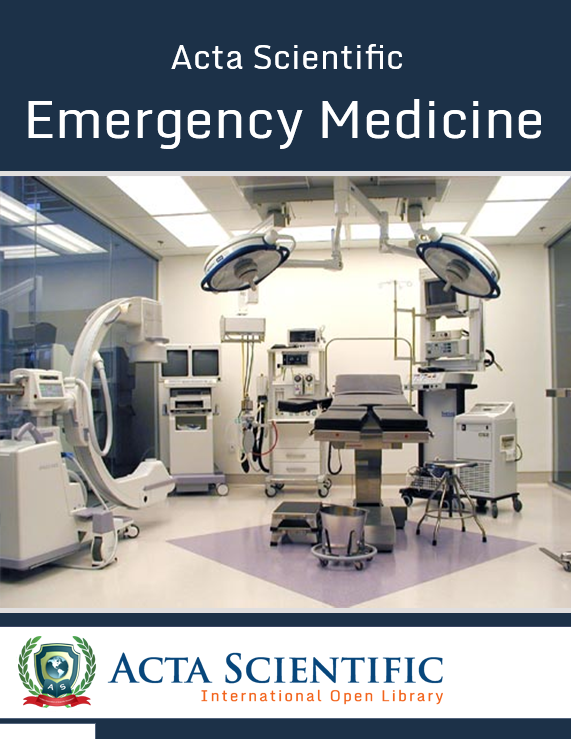 Acta Scientific Emergency Medicine (ASEM) is an internationally esteemed journal which helps in providing the data of the latest developments and advancements in the fields of emergency medicine. It is a double blinded peer reviewed journal which presents a novel information to the research community.